Welcome to the February 2017 edition of our newsletter Paris Panorama! 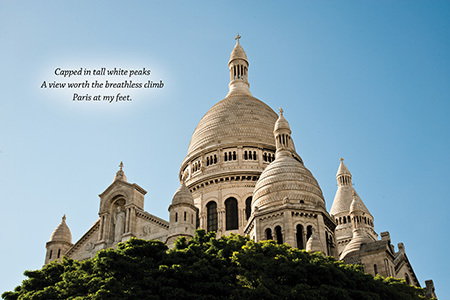 Each month we feature an inspiring haiku poem by Anna Eklund-Cheong. 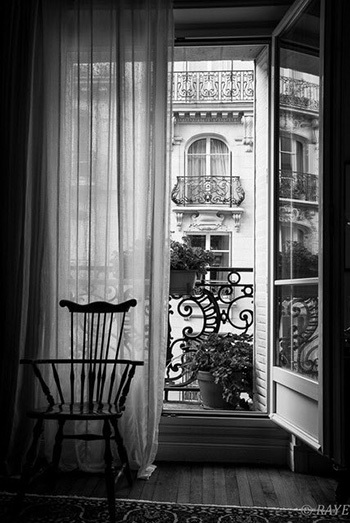 You will also find a photograph of Paris by Raye, our restaurant of the month with a link to the review, and an angel of the month by Rosemary Flannery. Niébé is a Wolof word that means black-eyed pea. 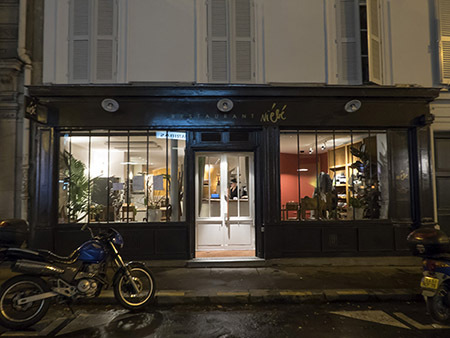 A new Afro-Brazilian restaurant that bears its name stands just off the busy boulevard du Montparnasse in the heart of the vibrant Montparnasse quarter. 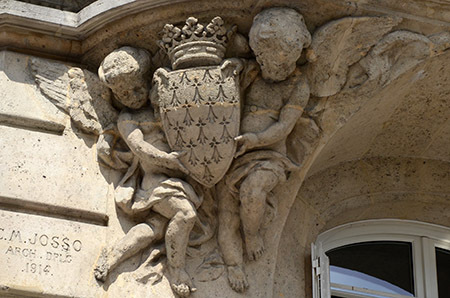 Even angels can seem like valentines. . .Here an adorable couple of stone cherubs appear to waft through the air, gingerly lifting a shield half their size bearing the coat-of-arms of Brittany. The crown above it, decorated with fleur-de-lis, references the province’s former ties to the monarchy. Sculptors Hiolle and Garraud won the 1914 commission for ornamental angels to decorate balcony alcoves of architect C. M. Josso in 1914, an interesting period in French architecture when buildings were ’signed’ by their designers.